For marketers in the education sector, there is obviously one age range in particular around which promotional and branding strategies must hinge: that of students. This is a relatively narrow range that skews young, particularly from mid-to-late teens and into the mid-20s. And this is why Snapchat, the photo and video sharing app that posted dramatic gains in market share in 2014 (up 56% from Q1 to Q3 2014), deserves the serious consideration of educational marketers. Snapchat is now the fastest-growing social media app for smartphones – ahead of Instagram and Tumblr. It boasts an estimated 200 million users, most of whom are women (roughly 70%) and by far the largest proportion of whom are under 25 years of age (roughly 71%). A recent survey by Sumpto found that 77% of US college students use Snapchat every day, with usage heaviest during evenings and weekends. And investors are queuing up. The Chinese e-commerce giant Alibaba Group Holding Ltd. has recently invested US$200 million in Snapchat in a deal that values the messaging company at US$15 billion. Statistics like these are impossible for marketers to ignore, but Snapchat experimentation is still new in the education sector. Students are on it, especially in the US but in other countries, too. Now the question is how to appeal to them. Snapchat is often compared to Facebook and Twitter in terms of its growth curve and user base – but it has a very different appeal than these social networks and is used for entirely different purposes by its audience. In its delivery, it is similar to text messaging, and there is a real one-to-one tone to the best Snap exchanges. Snapchat users have no idea whether a Snap they receive from a brand has been sent to just them or to a wider audience, and this alone creates a context for a more exclusive, personal tone in Snap messaging. In its content, Snapchat is highly visual, like Instagram. “Snaps” can be photos or video, and they can be doodled on or have emojis added for extra flair. Where Snapchat is unique is in the ephemeral nature of its content: Snaps disappear in a matter of seconds (one to ten seconds, as determined by the sender). In some ways this is a challenge for marketers – how can you make a message resonate in just a few seconds, after which point it self-destructs? But on the other hand this is the opportunity of Snapchat: its instantaneousness breeds a sense of urgency, of “right now – quick or you’ll miss it.” This mirrors the way young people born into digital culture like to absorb their information as well: quickly and intensely, to free them up for the next burst, the next input. Another advantage of Snapchat is that recipients also have to hold their finger down on the Snap to view it, which requires them to focus on the message more than they might via other platforms. So Snapchat mimics the quick pace and increasingly visual cognition of students as they make sense of the information they choose to pay attention to. It wouldn’t replace marketing on Facebook, Twitter, YouTube, or other channels, but it could provide a very nice complement to these for educational marketers. What is Snapchat best used for? The answer to the question of how educational marketers might take advantage of Snapchat begins with an understanding of how students like to use Snapchat in general. A 2014 University of Washington study found that the most popular types of photos users shared were “funny things,” “myself,” “people,” and “what I’m up to.” In other words, quirky, light, social, and current. So Snapchat demands a casual and easy tone – nothing too institutional, corporate, or serious. Students are on it to have fun, and so educational marketers need to make “fun” and timeliness the cornerstones of the messages they send out. And the messages should feel like they are coming from a human, not an automated brand communication. It should also create a sense of exclusivity: Snapchat followers should get information and discounts other students do not receive – to encourage them to continue accepting your Snaps. Send video Snaps to prospective students featuring alumni responding to one question about what they loved about your school (e.g., “What’s your favourite memory of being at School X?”). 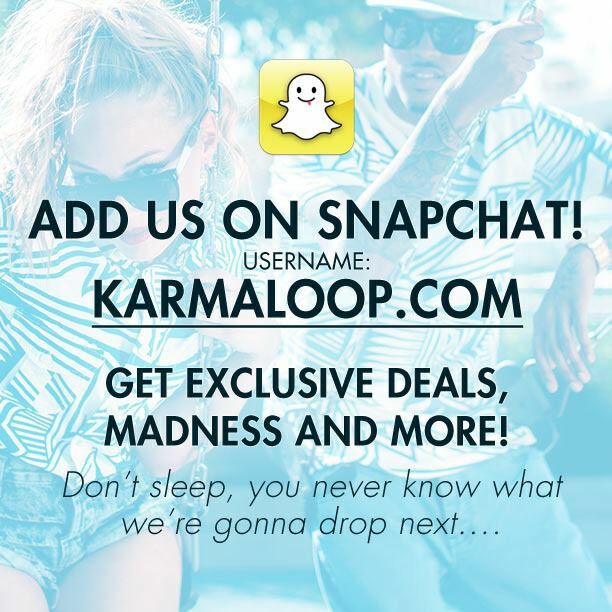 Snapchat stories can help brands to extend the life of a Snap, and whatever message or promotion it includes – because the Snap is stored for 24 hours rather than ten or fewer seconds. The latest innovation from Snapchat expands the app’s usage even further. In November of last year, they introduced Snapcash, which enables users to send money to each other via the app. Through its partnership with Square Cash, users can make payments to each other via their Mastercard and Visa debit cards. For now, it is only available in the US and people can send as much as US$2,500 a week and receive up to US$1000 a month. These restrictions are flexible and the company has said it is looking to expand payment options for both consumers and retailers, including those integrated with Story adverts. We are definitely at the experimentation stage when it comes to how educational marketers are using Snapchat to connect with prospective and current students. The first thing to do might be to decide to use Snapchat on one campaign, for example, encouraging more prospective students in a given country to come visit you at the educational fair at which your school will be represented. To get this campaign rolling, a good idea would be to announce that your school is now on Snapchat on Facebook, Twitter, and any other social networks on which you are active, since students need to opt in to receive Snaps from a brand. To encourage your audience to follow you on Snapchat, you might include some kind of prize for the first 100 new Snapchat followers. Here’s an example of a brand posting on its social network to gain Snapchat followers; note that they tell their audience what kind of Snaps to expect, providing the reason for someone to consider following them on Snapchat. One TWC Snapchat campaign involved a scavenger hunt on orientation day for prospective students. The school mascot was hidden in this event, and Snapchat photos and videos gave followers hints as to where its hiding spot was. The campaign produced engagement, and showed prospective students that the college was current and hip to the way students are communicating and having fun on apps. Ms Shope said she planned to use Snapchat “to keep in touch with prospective students from their initial interest in Tennessee Wesleyan to their acceptance,” and was already using it to keep current students informed about campus events and activities. But again, educational marketers are just beginning to figure out ways to use Snapchat to engage prospective and current students. Many of the best case studies come from outside the sector, but are nevertheless instructive and thought provoking. One of the most-cited examples of “Best Practices” remains the frozen yogurt company 16 Handles, which asked consumers to send a Snap of their yogurt purchase to the company’s Snapchat account. The company then sent them back a Snap that functioned as a point-of-sale coupon ranging from 15% to 100% off a purchase. Of course, because snaps disappear, the customer had to use the coupon immediately, and had to go to the store to find out how much of a discount they would get. They also had to commit to the purchase (to be able to Snap it to be eligible for the discount) before finding out how much they would save. The snap acted like a scratch-off ticket and held the twin benefits of immediacy and surprise. Is your school using Snapchat yet? If so, let us know! In the meantime, we’ll leave you with this handy tutorial on getting started on Snapchat. This entry was posted in Africa, Asia, Australia/Oceania, Europe, Marketing, Middle East, Most Popular, North America, Regions, South & Central America, United States, Youth Trends and tagged mobile marketing, community college, student enrolment, vocational schools abroad, boarding schools.